I know it sounds crazy, but hear me out. Remember yesterday's post about jalapeno popper deviled eggs when I said I was going to make you a little uncomfortable?! 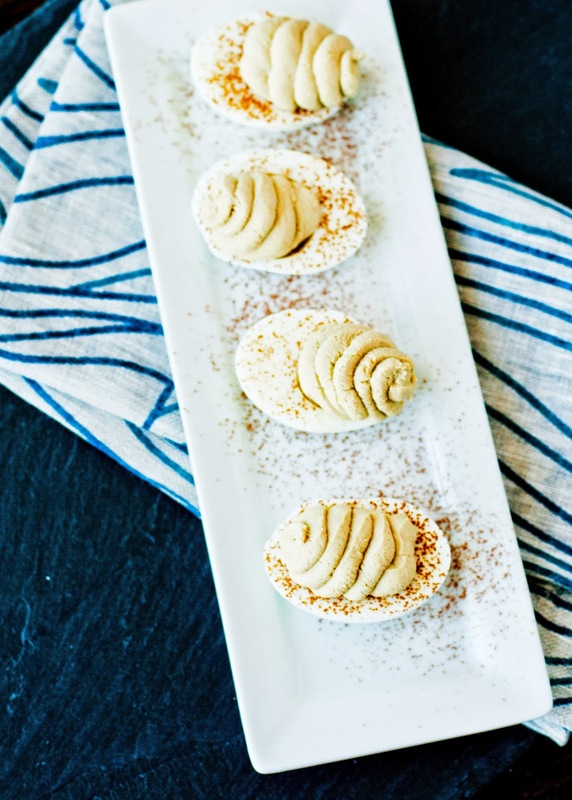 Let's talk about sweet deviled eggs. If you think about it, a lot of desserts start with eggs. Custards are made with egg yolks and well, the whites don't really taste like anything. 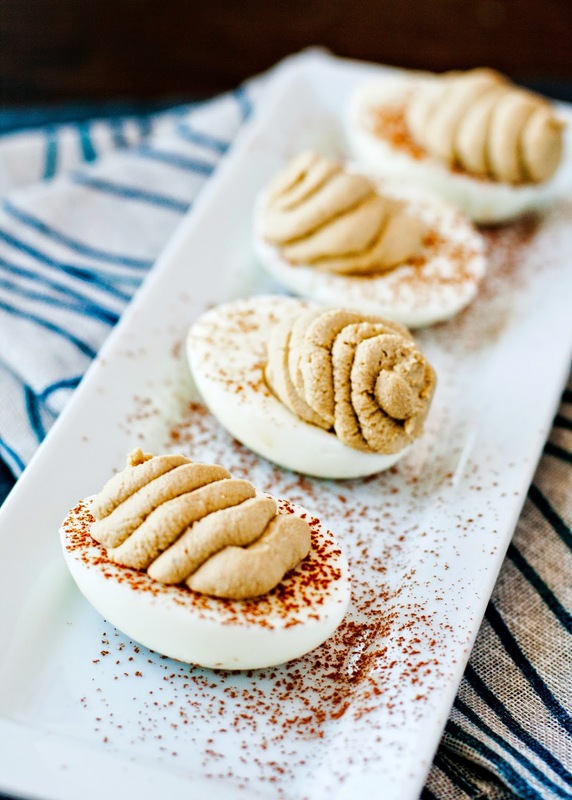 I loved the juxtaposition of doing sweet and savory deviled eggs for an easter menu. It's playful, fun and something that will at least get everyone at the table talking. Be brave, they actually do taste delicious! Even my husband thought I was crazy… until he tried it. Tiramisu is one of my all time favorite desserts when it's done right. There are lots of bad ones out there. But a good one, a good one will comfort the soul with creamy, subtly espresso & chocolatey goodness. I worked on my recipe for 6 months after I got back from living in Rome before I got my recipe just riiiiiighhhhttttt. 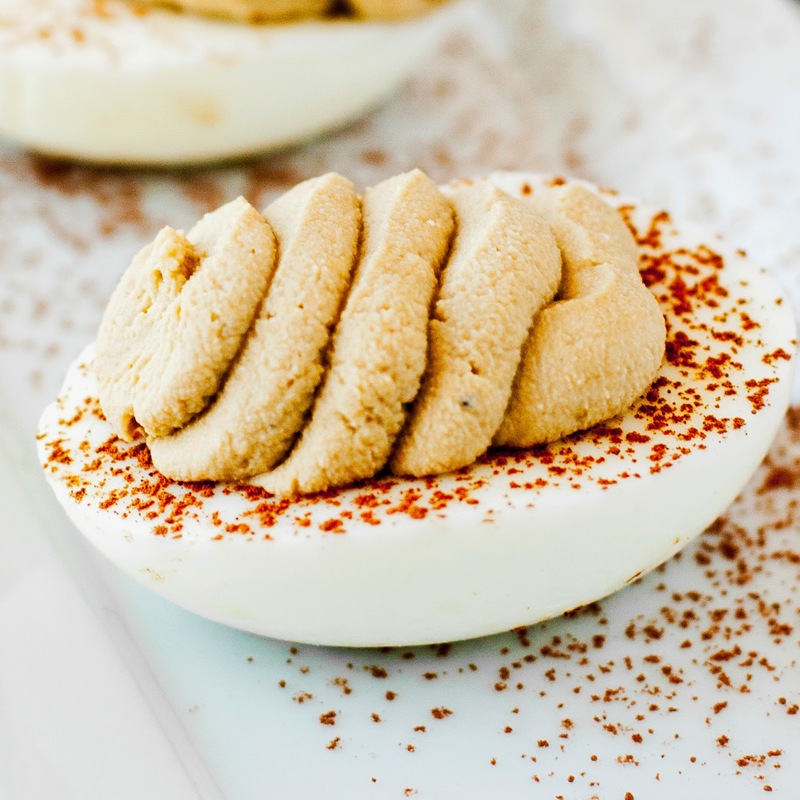 I applied similar thoughts to this deviled egg recipe. Be bold, try something outside of your comfort zone. Besides, I made the recipe to yield 4 servings so anyone feeling slightly adventurous could try it without too much commitment. Cut your eggs in half and scoop out the yolks into a small bowl. Mash them up good with a fork until they're fluffy and in tiny crumbs. Add in the mascarpone, espresso powder, honey, rum, and heavy whipping cream (the liquid one). In a medium shaped bowl whip up the 3 TBSP heavy whipping cream until it's light and fluffy. Gently fold half of the whipped cream mixture into your small bowl. Once incorporated, fold the remaining whipping cream. This helps give it a nice texture and consistency. Give your egg whites a light dusting with the cocoa powder and pipe or spoon your filling into the whites. Top with lady finger crumbs for a nice little crunch and texture variation. I didn't do this but after taste testing realized that would have been the perfect addition. Leave this step off until right before serving. there are so many ways to switch this up! serving to kiddos and want to leave out the rum? No problem, substitute with heavy whipping cream. don't want to buy a pack of lady fingers just to garnish? use any type of vanilla cookie (think vanilla wafer) or even gram cracker crumbs for the same affect. Amaretti cookies would be great too if you have them! you can substitute the rum for light rum, kahula, or amaretto instead. no espresso powder? you could play with using super fine coffee grounds or even liquid espresso. just be careful if you're using liquid. it could make the mixture runny. i like a thicker filling for deviled eggs. they make prettier presentation but i also really like the consistency. if you're on team runny, add more liquid to the mix! 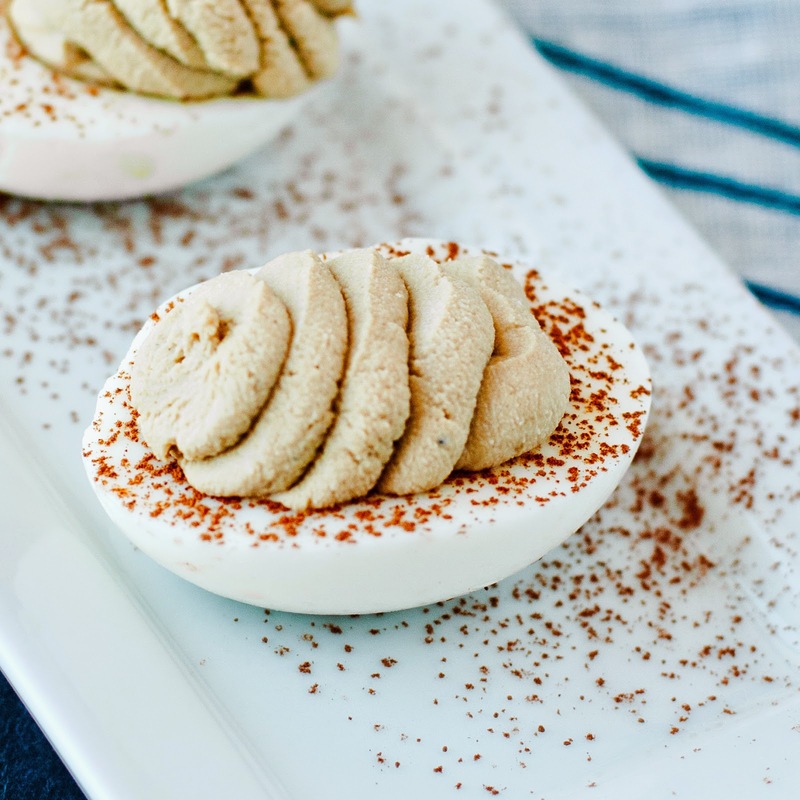 don't let a distaste for tiramisu stop you from making sweet deviled eggs. think of the possibilities! you could do my raspberry lemon tiramisu with limoncello and raspberry chunks instead of coffee & chocolate. or, ooh, oooh! strawberry cheesecake anyone?! Oh tiramisu! Never thought about that! Thanks for sharing this recipe! Definitely on our to bake list! I know it sounds crazy, but I hear it.